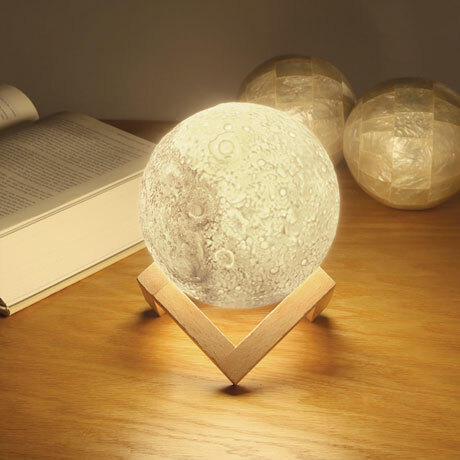 Give someone the moon. 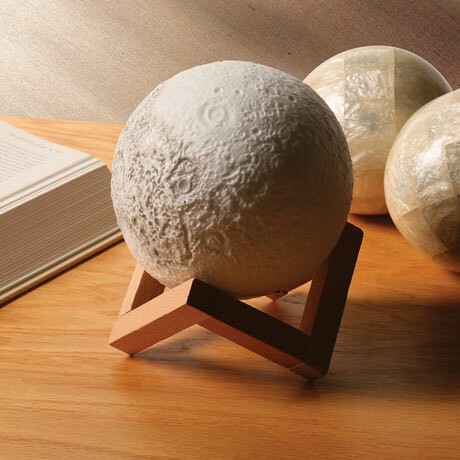 The ultra-realistic look is created with precise astronomical data and advanced 3-D printing. Touch to change color (cool white, warm white, medium warm white) and adjust brightness. 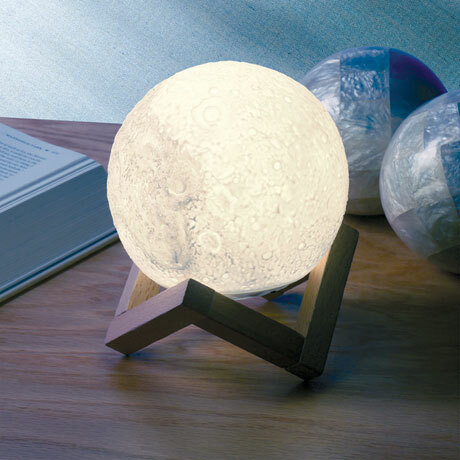 Rechargeable battery and USB cord included; LED light lasts 7-10 hours when fully charged. 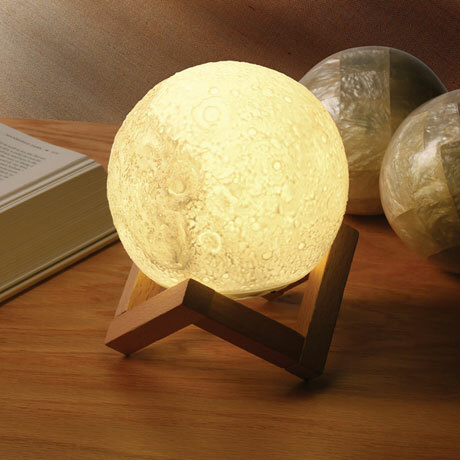 Molded plastic moon comes with a wood stand. Or hang it with the included hook and string. On/off switch with auto settings. 5" diameter, 6" high on base.